Our inboxes, desks, and, naturally, the internet, are constantly flooded with information about new and seemingly life-changing skincare products. And while we do have expertise (we've been doing this for a while and we've tried a ton of stuff), we recognize that no one on our team is above the age of 40. And while we can reach out to experts in the industry, there's nothing like real-life recommendations from our readers. From cult-favorite masks and cleansing balms to nighttime facial oils and glycolic acid masks, these are the best of the best anti-aging skincare products for women over 40. Below, find your new favorite offerings. 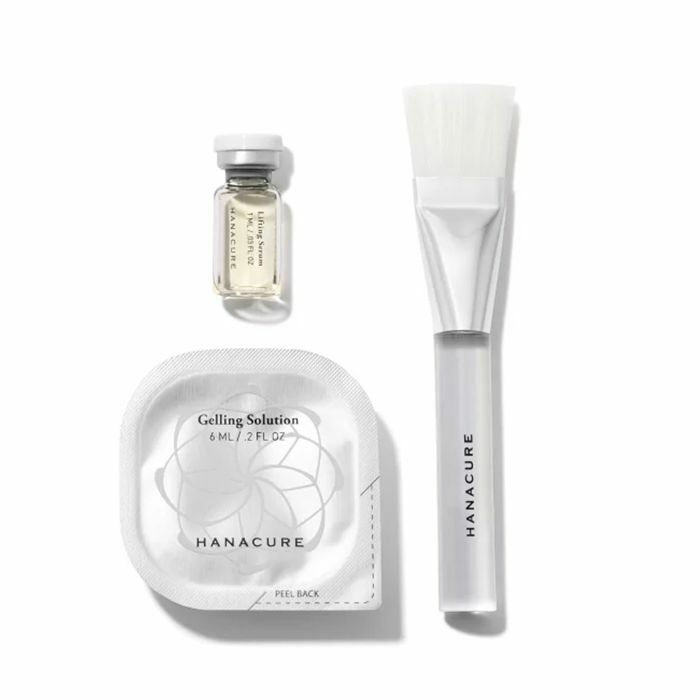 Hanacure's Multi-Action Treatment Mask ($29) is virtually legendary. "The philosophy is inspired by the lotus flower which, according to the brand (and drawn from South Korean culture), freshly blooms each and every morning. The premise for the mask: Your skin will mirror the lotus flower in that it will be 'reborn' which each and every use," writes our assistant editor of the mask. Her mother, who's in her 70s, couldn't stop inspecting and praising the results. Her skin felt insanely smooth and soft, and her newfound glow was virtually glasslike in appearance. 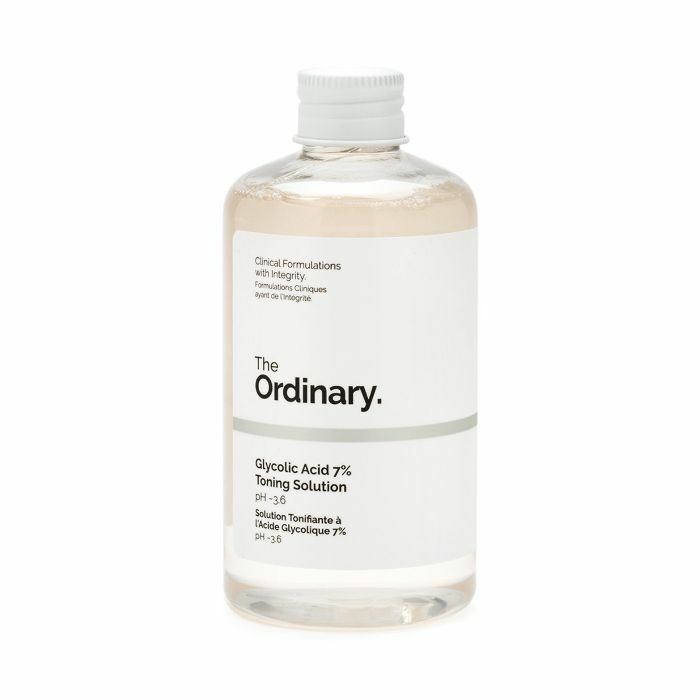 The Ordinary's concentrated formula boasts 7% glycolic acid, an AHA that is pretty magical in the exfoliation department. It restores clarity, vibrancy, and even texture to your skin after just one use (and with compounding results over time). This one offers plant-derived Tasmanian pepperberry and aloe vera to soothe any irritation or redness and ginseng root for extra glow. One of our over-50 readers, Rina, uses it in the morning before her moisturizer and foundation. 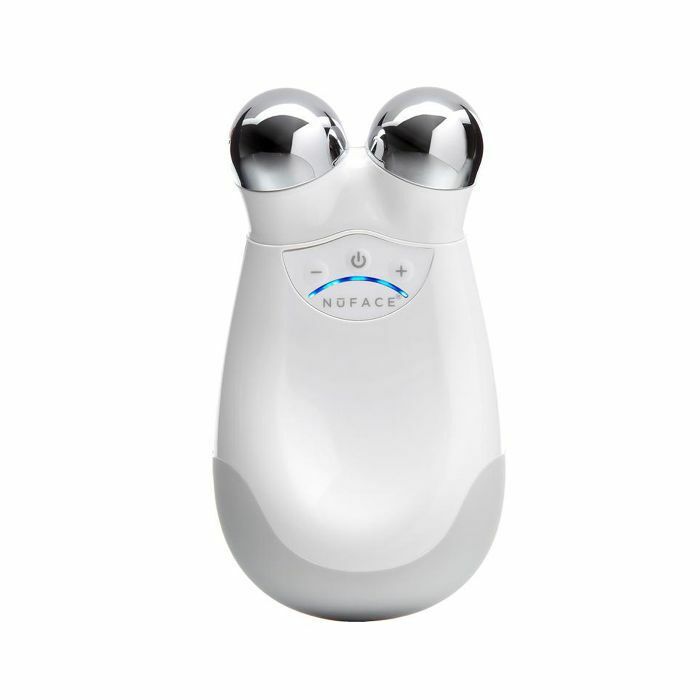 This handheld facial toning device is pretty incredible. It improves your facial contour and skin tone and actually reduces the appearance of fine lines and wrinkles. All you have to do is hold it your face (make sure to push upward) and move it around your cheekbones, jaw, and wherever else that may need lifting. Real results are visible in just four weeks, trust us. In fact, our almost-40 reader, Tahera, started using NuFace a year ago because she noticed the pores on her cheeks started looking more visible. "My husband's aesthetician gave me a NuFace facial, and I kid you not the difference was immediate and impressive. She explained the pores were more visible because my muscles were starting to lose their tightness (sagging), which made the pores more prominent in my mid-face. Now I use it as directed, and I'm in no rush to get any invasive cosmetic procedures yet as a result." 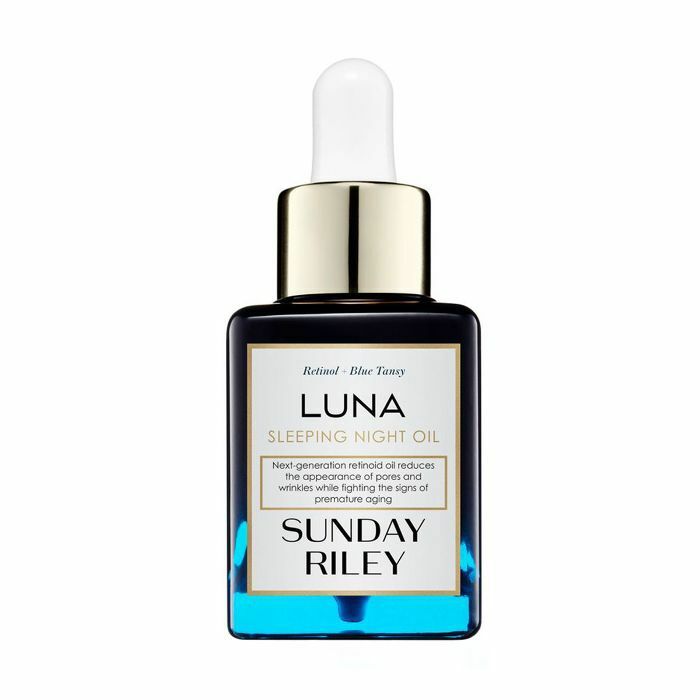 Jessica, 42, uses Sunday Riley's Luna Sleeping Night Oil about three to four times a week. 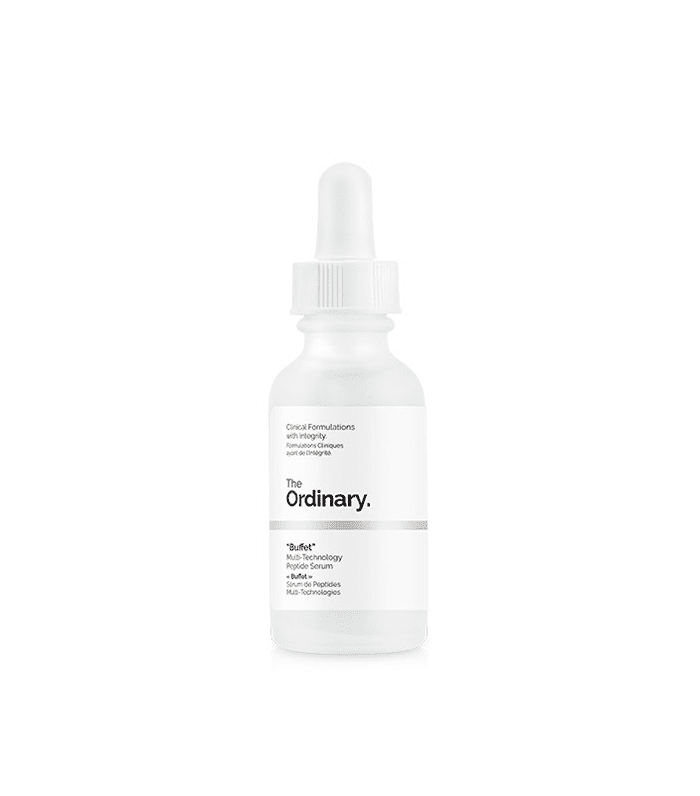 The formula includes a retinol complex to reduce the appearance of pores, fine lines, and wrinkles while also working to nix uneven texture, age spots, dryness, and dullness. The retinol is blended with blue tansy and German chamomile essential oils—both rich in soothing blue azulene—to neutralize any redness or sensitivity. 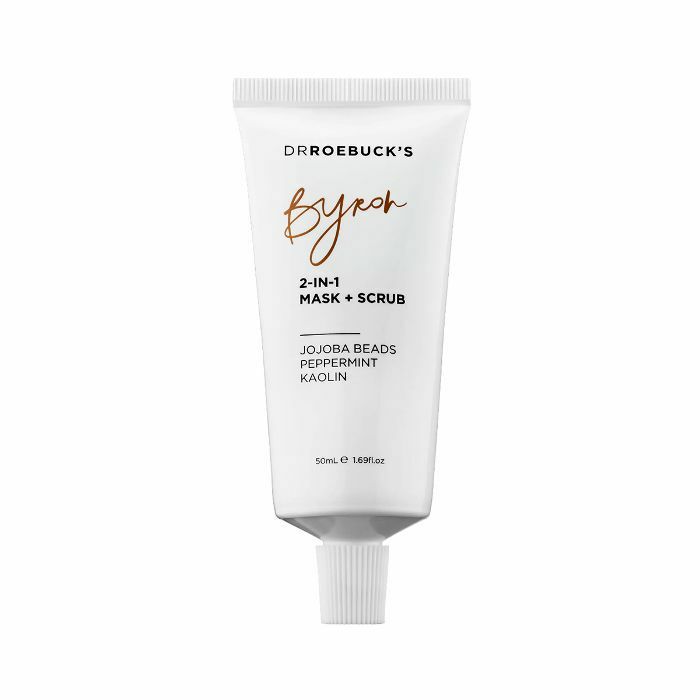 This two-in-one formula is filled with biodegradable eco beads to target any clogged pores, remove dead skin cells, and lift away skin impurities. It's a blend of peppermint oil (which makes your skin practically breathe a sigh of relief), kaolin, and white tea for a ton of healthy antioxidant benefits. It’s all-natural, hydrating, and made without silicones, chemicals, and fillers. Jessica, 42, also recommends this one for all your masking and moisturizing needs. This super-velvety cleansing balm melts eye and face makeups off your face in one warm, comforting application. 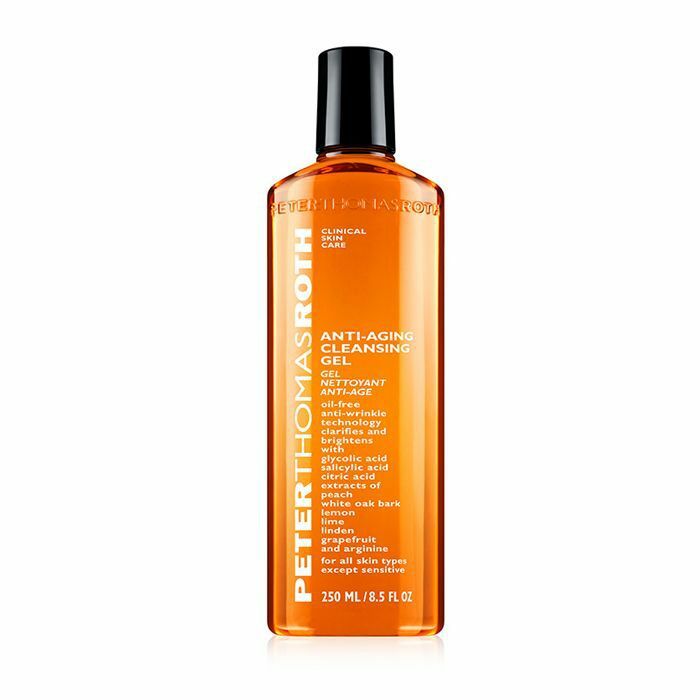 It cleans thoroughly, rinses off completely, and removes dirt, oil, debris, and any pollution from your skin before bed. Rina, a reader over 50, is obsessed. 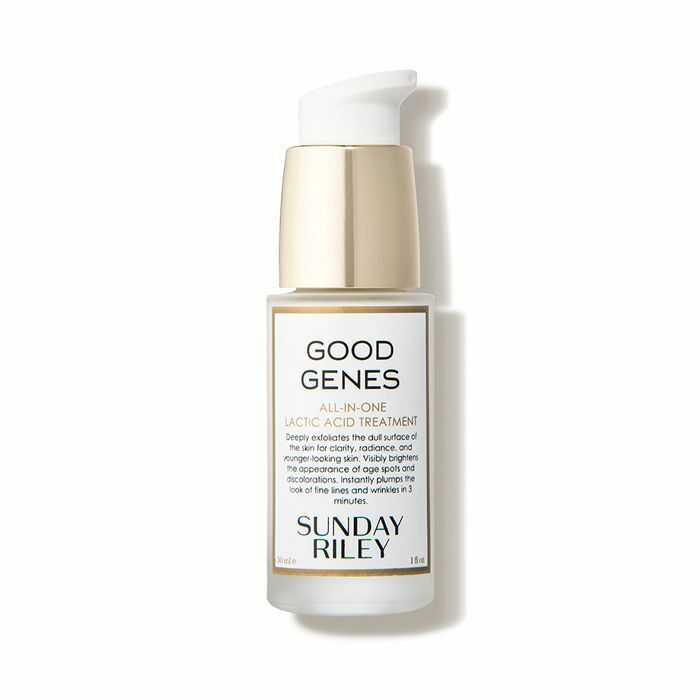 Good Genes is a cult favorite for good reason. The treatment is formulated with high-potency, purified lactic acid to exfoliate dull, pore-clogging dead skin cells and reveal smoother, fresher, younger-looking skin. It plumps immediately and over time lifts the appearance of hyperpigmentation. Jessica, 42, cannot get enough. She alternates it with the brand's Luna Sleeping Night Oil for a well-rounded anti-aging routine. To renew your skin, increase cell turnover, and keep pores clear, look no further. This salicylic and glycolic acid formula, mixed with botanicals, helps to create a clearer, healthier-looking complexion. And Jessica, 42, recommends it vehemently. "I use it before bed and then as a primer," Rina gushes of the facial oil, "and it makes foundation go on like a dream. I'm super impressed! Get it at CVS and sign up for the CVS [newsletters] to get 30 to 40% off coupons almost every week." 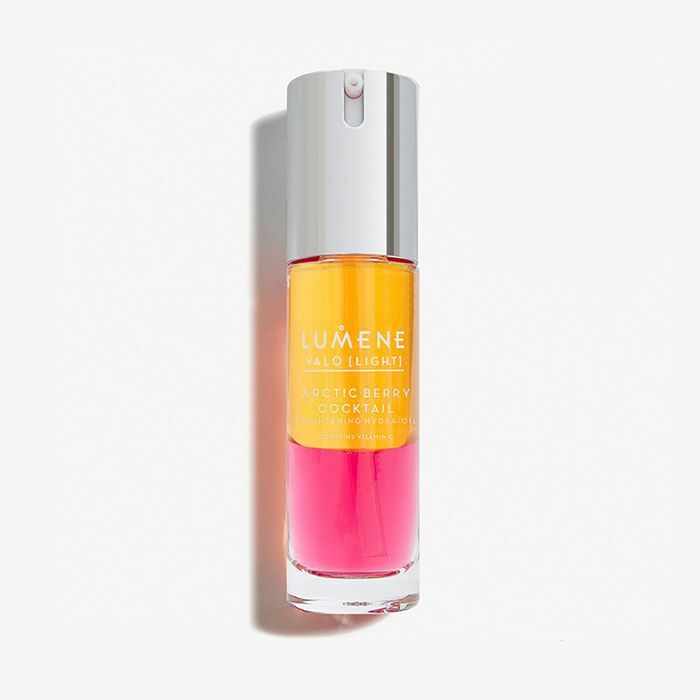 See, it's a cocktail of vitamins and berry seed oils—including vitamin C, B3, B5, and omega fatty acids—as well as arctic spring water to keep everything hydrated, supple, and bright. FYI: Here are eight helpful makeup tips for women over 40. "I am 45 but look younger because of my Asian genes and oily skin. My approach to anti-aging skincare is to stick with products that focus on scientifically proven ingredients with published concentrations. 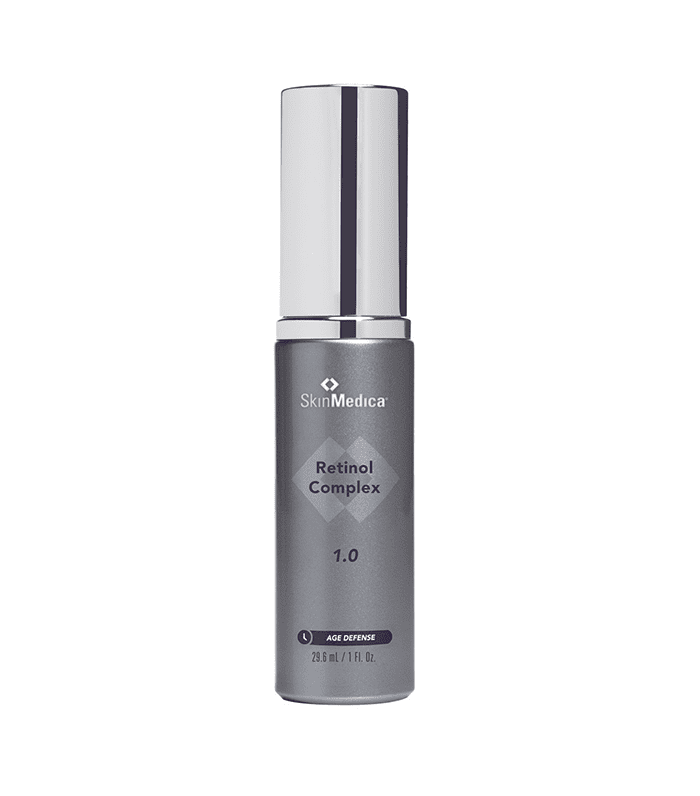 My favorites are SkinMedica Age Defense Retinol Complex 1.0 ($93). The serum is formulated for skin types pre-conditioned to retinol treatments, and, as such, minimizes the appearance of age spots and wrinkles. "I didn't start using anti-aging products until I was 35, and I wish I'd started sooner," one reader says. "Now, at 43, I'm devoted to my skincare regimen to try to avoid the needles. I use The Ordinary Buffet ($15), along with Argireline Solution 10% ($8), Hyaluronic Acid 2% + B5 ($7), Vitamin C Suspension 23% + HA Spheres 2% ($6), and will soon incorporate retinol. And, of course, SPF on the daily. I need to get better at the whole 'healthy lifestyle' thing, like regular sleep and lower stress levels, but one step at a time. People think I'm about 10 years younger than I am, so I must be doing something right. Right?" "I am almost 51. I drink lots of water [and apply] sunscreen every day. 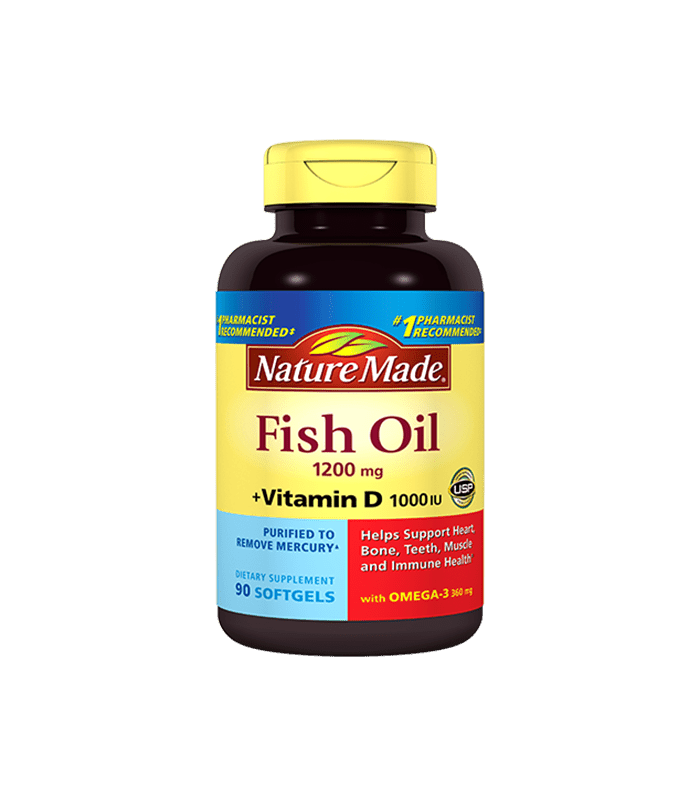 I do periodic Botox maintenance (every six months to a year) and take Spironolactone for hormonal breakouts, vitamin E, and fish oil supplements, and try to have a monthly professional facial." "My skin became super sensitive about five or six years ago when I was living in L.A., and has become dry in the last couple years since I moved back to New York," says one reader over 40. "I stick to everything unscented and use face wash and masks that have activated charcoal. In the morning, I use vitamin C serum, Cetaphil Redness Relieving Night Moisturizer ($17), and SPF." 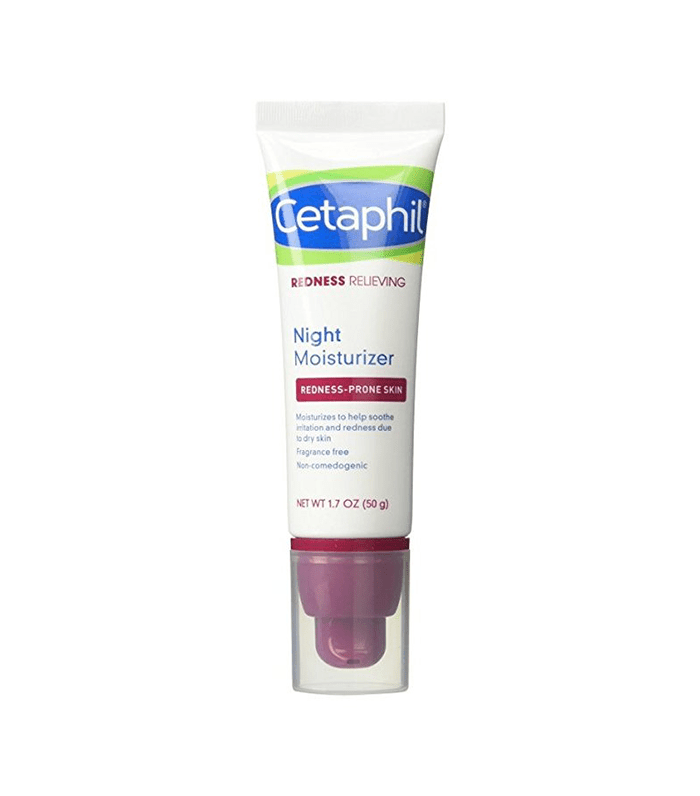 FYI: I was against retinol until I started using this product.